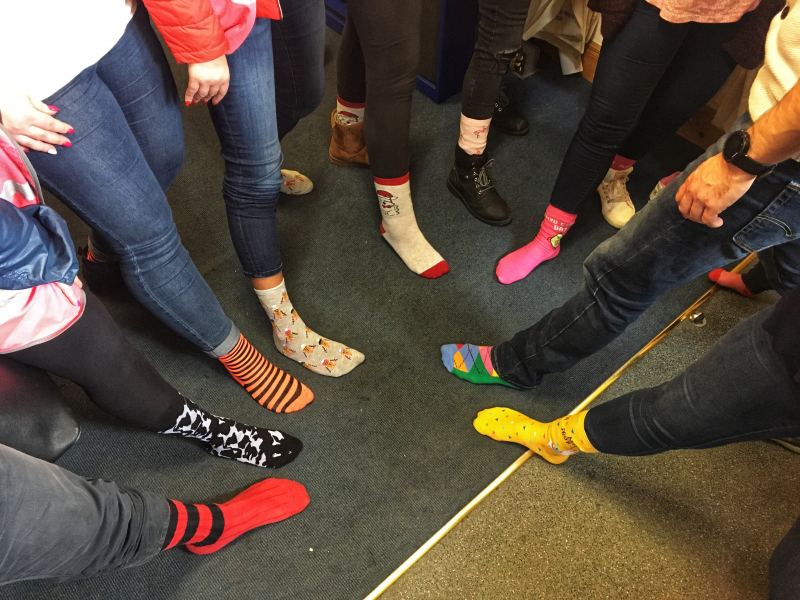 To celebrate World Down Syndrome Day, the office staff in KMK Metals Recycling donned their most bright and colourful socks today, March 21st, raising €200 for the Offaly Down Syndrome Association. Wearing loud or odd socks to mark World Down Syndrome Day today, is because they look a bit like chromosomes, and people with Down syndrome have an extra chromosome (making 47 altogether). Down Syndrome Ireland (DSI) is launching a new booklet today, which is intended to be a resource for parents with a pre- or postnatal diagnosis of Down syndrome for their baby. Don’t worry if you didn’t remember to wear your odd socks today. You can join KMK and other local schools and businesses by texting ODS to 50300 to donate €2.00 and then post a photo of your socks using the hashtag #rockyoursocks4ODS.